Many, many moons ago I taught kindergarten in a daycare. I was young and had no idea what I was doing in the classroom. I didn’t even have a teaching degree yet, I was working on my masters at night. Each day I showed up and faced those twenty-five faces, trying to figure out what to do. It didn’t take very long to figure out that they were quiet when I read aloud. Quiet was a good thing. What to read was my next dilemma. I spent a lot of time at the library and the bookstore. I poured over books, rereading childhood favorites, adding new discoveries. What I found that my students loved was anything funny. Fractured fairy tales became a sure fired hit. 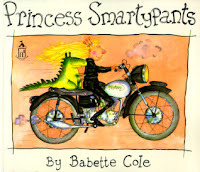 I remember bringing in a book called Princess Smartypants by Babette Cole. Goodness, they loved that book. I read it, reread it, and read it again. Kids would fall over on their carpet spot, holding on to their sides and laughing out loud. In the world of five year olds, no emotion is tiny. 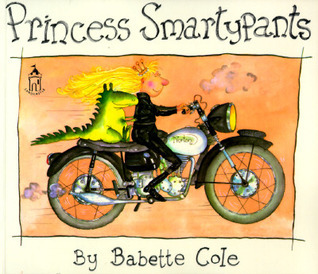 We then moved on to Prince Cinders, also by Cole; The True Story of the Three Little Pigs by Scieszka; The Stinky Cheese Man, also by Scieszka; and more. 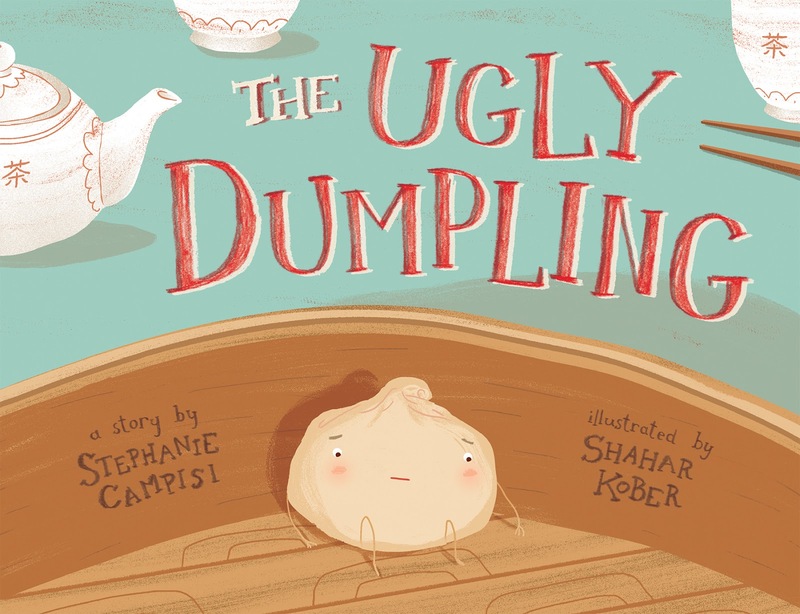 If I was still teaching that age group, I would have a new book to share with them - The Ugly Dumpling by Stephanie Campisi. 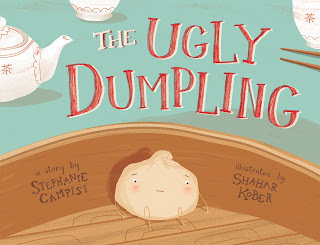 When the folks at Mighty Media Press sent me Ugly Dumpling, I had to glance twice at the title. Of course this is a riff on the classic tale of The Ugly Duckling. Here we have a dumpling, not quite as “attractive” as the others. It is passed over again and again with customers choosing to eat the other dumplings instead of him. One would think that would be a good thing, but the dumpling isn’t feeling great about it. And then, along comes a cockroach to show the dumpling how beautiful the world is. Through their journey together the dumpling figures out a bit about friendship and learns a lesson in self-acceptance. 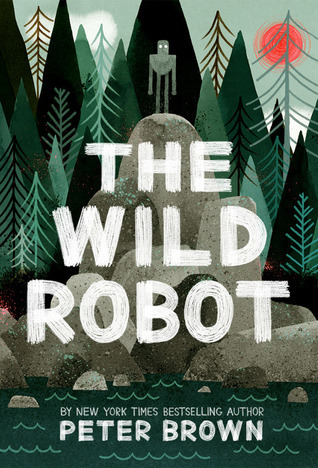 I think my former kindergarteners would be fascinated by this book. They’d worry for the dumpling’s feelings, wonder if he was going to get eaten, and be fascinated by his friendship with the cockroach. I’d love to read this with the story of the Ugly Duckling and compare and contrast the two stories with a group of young kids. I think they could get some lively discussions going. 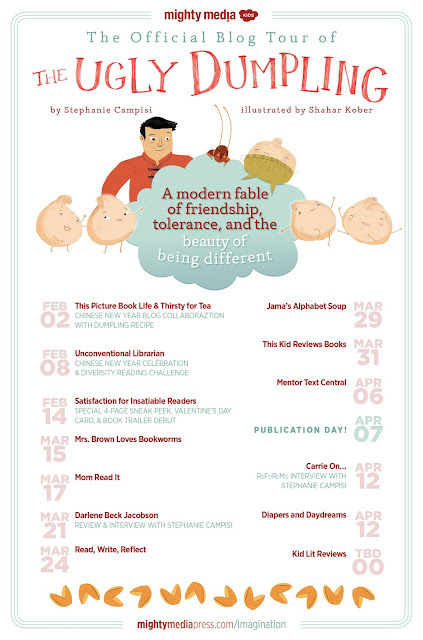 The Ugly Dumpling is on sale April 7th. I've been listening to podcasts for quite awhile. Some I stick with over time, others I enjoy for awhile, then grow out of. They have become my favorite type of audio to listen to while I walk Rosie each morning. I begin with The Writer's Almanac, then move on to another podcast to fill the 30 minute walk. Today I was overjoyed to find three episodes of Penny Kittle's Book Love podcast along with one of her episodes from Stories from the Teaching Life that I hadn't heard before. I cannot adequately express how important these episodes were to me. Teaching is a lonely profession at times. I never, ever, think I've got it all together. I can constantly look at what I'm doing and see so many areas I need to improve in. And while colleagues are wonderful and supportive, no one has the exact same job as you, with the same kids, same issues, same curriculum. Each day I stare out at a sea of 70 faces and wonder what I can do to be the best teacher to them that day. Each day I succeed in some areas, fall short in others, and am left thinking that I need to do better tomorrow. It's tough. Penny's podcasts lift my spirits exactly when I need it, with the exact message that I need. Today her episode on Stories from the Teaching Life was eerily close to something I was dealing with myself. While I teach fifth and she teaches high school, I needed that message today. Another podcast I love is The Yarn, created by two friends - Travis Jonker and Colby Sharp. Their newsletter is also a good spot for podcast recommendations. Each Sunday a newsletter comes to your inbox and it always has a great podcast recommendation in it, among other things. You can sign up for the newsletter HERE. How about you? Do you have a favorite podcast? Please share below if you do. I love adding to my list that I subscribe to. And I added photos of the ones I listen to below in case you are looking for recommendations. Gracious, it has been awhile. 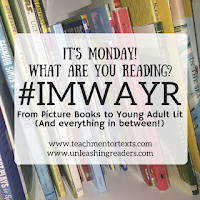 While it's been over a month since my last It's Monday post, I haven't read a ton in that time. 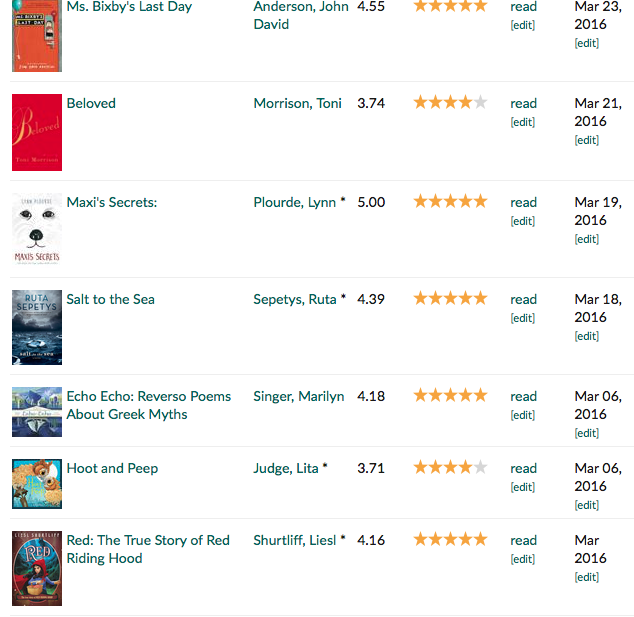 However, I have read some amazing books, so I wanted to share all of the books that I've read since I last posted. 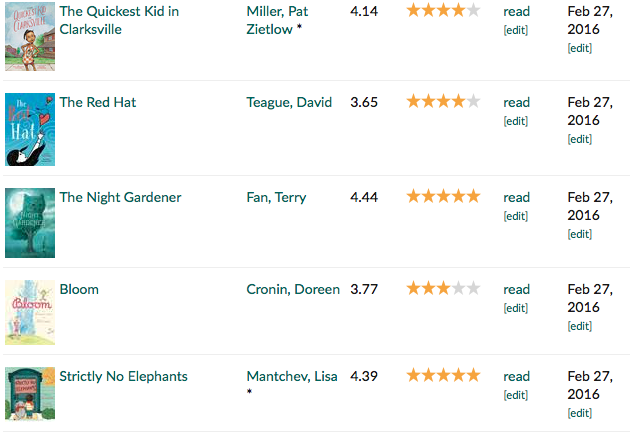 I've read some amazing picture books of late. The fine folks at Penguin sent me several to look at. I loved Hoot and Peep - two sibling owls that fly through the beautiful city at night and learn to be themselves. Also, I had seen Echo Echo by Singer as an ARC at NCTE, but I loved revisiting it. If you haven't seen Singer's reverse poems yet, you need to remedy that. Her first book in this style was Mirror Mirror, then she followed it up with Follow Follow. Amazing. I grabbed a few non-fiction picture books: Plastics Ahoy and Talking Trash. I plan on doing a pollution unit to end the school year and these are helping me plan, along with A World Without Fish that I am currently reading. And my plane reading was fabulous. We traveled to California and back over break. 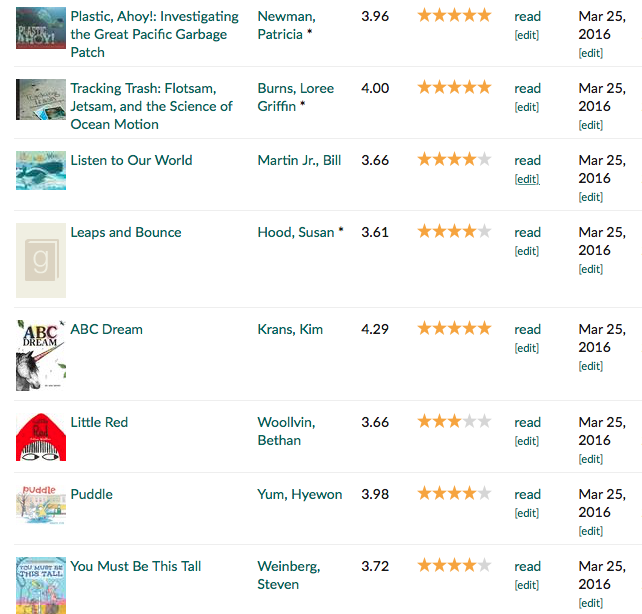 I read Salt to the Sea, Maxi's Secrets, and Ms. Bixby's Last Day. Each one was amazing. All provoked some tears, but each has stayed with me since I finished. On the 18th we had some extended reading time in my class. As I pulled my students out of their reading zones to get ready to head to PE, one ran up and almost knocked me over with a forceful hug. While typical when I taught kindergarten, this is not usual behavior for a fifth grader. I hugged her back, trying to steady myself, I realized she was crying. Actually, it was more like a sob. I asked her what was wrong as my eyes met her classmates and she got out, "My book..." As soon as she said that, I hugged her tighter. 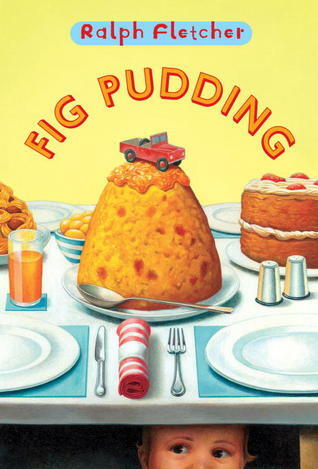 She was reading Fig Pudding and I knew exactly what part she was at. I loved that my students got it too. The fact that no one thought her sobbing and my tearing up was strange speaks volumes to the amazing kids I have spent the year with. On the 19th my family and I packed up and headed out of Illinois for sunny California. We spent about five days in the San Francisco area, visiting some of my husband's family. It was a wonderful time away and I got to see the ocean, which is one of my favorite sites in the world. I love Saturdays...time to spend with family, relax, read, and often - hear from two friends. While I don't get to "see" Colby Sharp and John Schumacher often, I get to hear their voices fairly regularly. Most Saturdays you can find a video from each of them on their blogs. I love seeing what books they are reading and what they are up to. 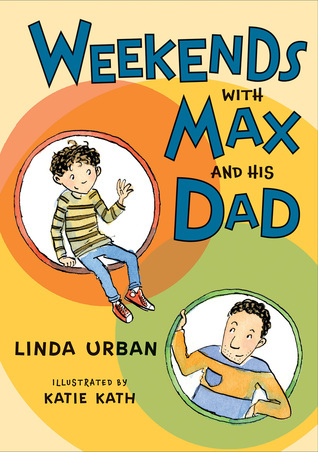 Specifically, today they both shared two books I absolutely love - Wild Robot by Peter Brown and Weekends With Max and His Dad by Linda Urban. These come out April 5th and I cannot wait to purchase final copies. They are beautiful and important books. You can see Colby's Saturday video HERE and John's HERE. This photo doesn't really do it justice, but you can get an idea. My husband and I took the plunge and decided to have our kitchen remodeled this year. It is a huge undertaking. There was structural issues that needed to be corrected, walls removed, electrical items to fix, etc. Currently my kitchen is taken back to the studs. I'm cooking on a panini press, grill, and a crockpot. For someone who enjoys cooking - and organization - this is trying. I keep reminding myself that it is all worth it. We've just wrapped up week two and have at least four to go. Deep breaths. I hope you all have had a beautiful week! 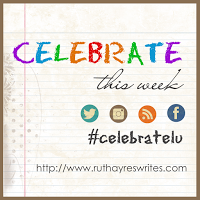 This week's celebration is taking the time to look back as well as ahead. 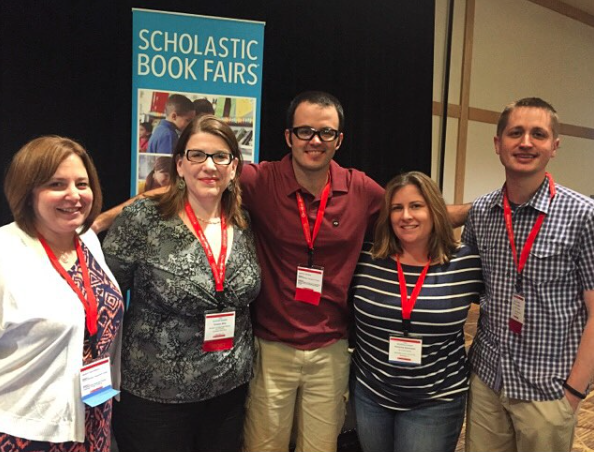 Last summer I attended a Scholastic Reading Summit in Ohio. It was a blast. Not only did I get to hang out with good friends, but I also attended fabulous sessions, had a wonderful lunch, and even got to swing by the book fair they had set up to purchase some books for my classroom. It was wonderful. And while I'd love you to come hang out with me for a morning, there is so much more! My brilliant friends John Schumacher (Mr. Schu) and Donalyn Miller are at every single Scholastic Summit! And another good friend, Colby Sharp, will be at the two I'm attending as well as the one in North Carolina. And that is just the tip of the iceberg. There are so many fabulous folks at these, I highly encourage you to check them out. I love summer PD, some of my favorite conferences are ones I attend in the summer. No sub plans to write, no huge lists of everything my husband needs to run my boys to while I'm away. I can just escape and go. There are so many fabulous ways to enrich your teaching lives in the summer. This summer I'll be at the Scholastic Summits and NerdCamp MI. Most summers I also attend the amazing All Write Conference in Indiana. 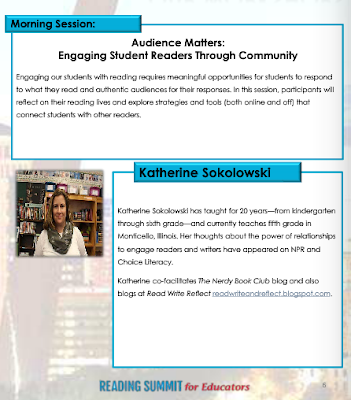 I am beyond pumped to be at the two Scholastic Summits this year where I'll present as well as learn from brilliant folks. How about you? What is your favorite way to rejunivate your teaching over the break? Just the time to breathe is pretty amazing too, right? Hope I get the chance to learn with some of you this summer. It will be an amazing time.